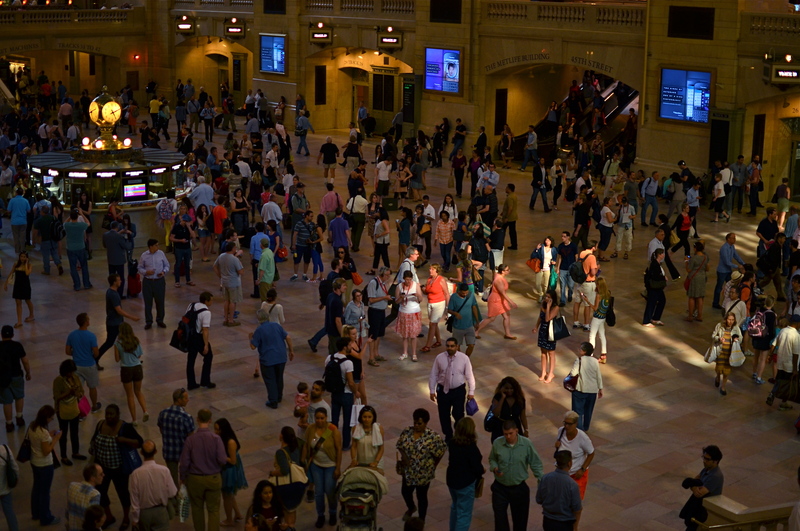 Grand Central, 2013. 1/160 sec., f/1.8, ISO 250, 35mm. IF YOU SHOOT ALL THE TIME, NEARLY EVERY DAY, THE SHEER TONNAGE of what you bring home guarantees that you will inevitably lose track of a large portion of your total output. Being that your alloted daily attention span is a finite number, you will literally run out of time before you can lavish affection on everything you’ve captured, on any occasion. Some shots will jump into your car like eager puppies, panting “take me home”, while others will be orphaned, tossed into the vast digital shoebox marked “someday”, many never seeing the light of day again. The cure for this, oddly, lies in the days when no ideas emerge and no pictures are taken…the dreaded “drys”, those horrible, slow periods when you can’t buy an inspiration to save your life. In those null times, the intellectual equivalent of a snow day, you may find it useful to revisit the shoebox, to rescue at least a shot or two formerly consigned to the shadows. Using your paralysis periods for reflection may get you off the creative dime (and it may not), but it will, at least, allow you to approach old experiments with a fresh eye, one seasoned by time and experience. Maybe you overlooked a jewel in your haste. You almost certainly left free lessons on either technique or humility by the wayside, wisdom that can be harvested now, since you’re currently watching your camera mock you from across the room (okay, mock is harsh). The master shot, before cropping. During my last visit to Manhattan, I was determined to explore the limits of natural light streaming from the gigantic windows of the main terminal floor at Grand Central, and, for the most part, I framed the place’s architectural features in such a way as to dwarf the scurrying humanity heading to their various destinations. I did shoot a few floor shots as “crowd pieces”, but, upon editing, I failed to look within those big groupings for any kind of individual story or drama. I chose the gigundo-windows master shot I wanted, and left all the other frames in the dust. 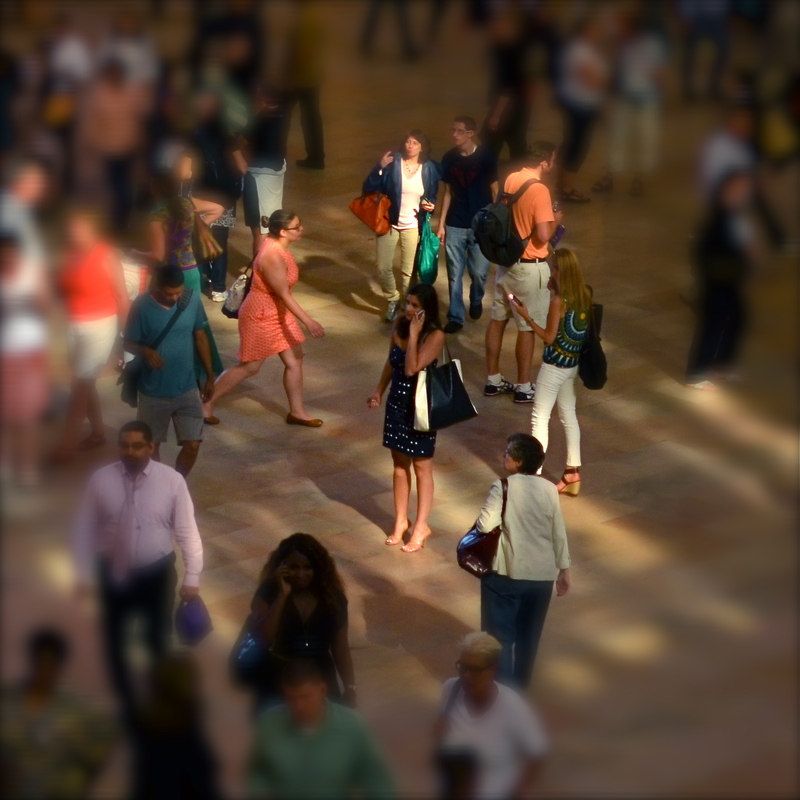 Recently hitting a dead spot of several days’ duration, I decided to wander through The Ghosts Of Photo Attempts Past, and I saw a mix of bodies and light within the smallest 1/3 of a larger crowd shot that seemed worth re-framing, with a little softening effect to help the story along. Still not a masterpiece, but, since I was lucky enough to isolate it within a “Where’s Waldo” frame crammed with detail, it was something of a gift to salvage a chunk of it that I could actually care about. Another orphan finds a home. This entry was posted on February 16, 2014 by Michael Perkins. It was filed under 35mm, Composition, Exposure, New York, Street Photography and was tagged with Architecture, Composition, Cropping, Editing, Manhattan, Street Photography. Yeah, I can relate to this. I bet a lot of photographers can. They say that you shouldn’t delete your photographs for just this reason. And some say that you should let some time pass by before you look at your photos. It can hurt the old ego to save everything,too,of course. Being faced with photos where you missed what you were going for by inches is frustrating, but it’s the best education you can get. Thanks for visiting and commenting!